BOSSIER CITY, La., May 12, 2014 – Just in time for the busy building season, McElroy Metal has released its updated Architectural Colors chart. The four page chart, available on the McElroy Metal website, highlights the standard architectural colors, the updated “Deep Tone Premium” colors, as well as the company’s metallic color offerings. The back page of the chart features color specifications: reflectivity, emissivity and solar reflective index. “The updated Architectural Colors chart conveniently packages all of the options available to architects, roofers and building owners, while providing them with all the information they need to select the right color for their project,” said Mark Lawson, vice president of sales for McElroy Metal. 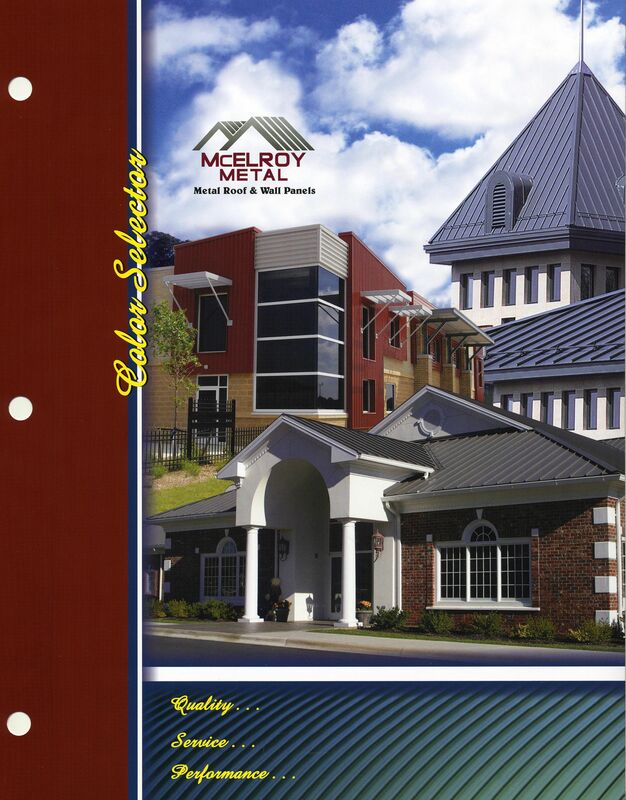 To have a hard copy of the brochure mailed to you, email a request to info@mcelroymetal.com. To obtain a PDF online, visit www.mcelroymetal.com and click on the “downloads” menu at the top of the page. Since 1963, McElroy Metal has serviced the construction industry with quality products and excellent customer service. The family-owned components manufacturer, headquartered in Bossier City, La., has 12 manufacturing facilities across the United States. Quality, service and performance have been the cornerstone of McElroy Metal’s business philosophy and have contributed to the success of the company through the years. As a preferred service provider, these values will continue to be at the forefront of the business model along with a strong focus on the customer. More information can be found at http://www.mcelroymetal.com.